Protect and hydrate skin with SkinCeuticals Daily Moisture, a lightweight moisturizer that provides long-lasting hydration while minimizing the appearance of pores. Melting effortlessly into skin with no greasy residue, it intensely hydrates and nourishes, delivering a combination of Vitamin E and nutrient-rich Algae extracts to soften and replenish, while seven botanical extracts help to reduce the look of enlarged pores. Restoring and maintaining moisture, it will intensely hydrate while protecting against environmental damage. Once or twice daily, apply a dime size of the moisturizer to the face, neck, and chest. Aqua / Water / Eau, Glycerin, Cetyl Palmitate, Stearic Acid, Butylene Glycol, Palmitic Acid, Tocopherol, Dimethicone, Polymethylsilsesquioxane, Glyceryl Stearate, Sorbitol, Ci 77163 / Bismuth Oxychloride, Phenoxyethanol, Peg-100 Stearate, Sodium Hyaluronate, Hamamelis Virginiana Water / Witch Hazel Water, Peg-75 Stearate, Cetyl Alcohol, Carbomer, Ethylhexyl Hydroxystearate, Allantoin, Panthenol, Ceteth-20, Triethanolamine, Caprylyl Glycol, Xanthan Gum, Propylene Glycol, Steareth-20, Disodium Edta, Myristic Acid, Betaine, Chlorella Vulgaris Extract, Laminaria Saccharina Extract, Glucose, Chamomilla Recutita Flower Extract / Matricaria Flower Extract, Zingiber Officinale Root Extract / Ginger Root Extract, Sanguisorba Officinalis Root Extract, Cinnamomum Cassia Bark Extract, Thymus Vulgaris Flower/Leaf Extract - Thyme Flower/Leaf Extract, Retinyl Palmitate, Helianthus Annuus Seed Oil / Sunflower Seed Oil, Sodium Benzoate, Zinc Sulfate, Laminaria Ochroleuca Extract, Glycyrrhiza Glabra Extract / Licorice Root Extract, Urtica Dioica Extract / Nettle Extract, Equisetum Arvense Extract, Betula Alba Leaf Extract, Citric Acid, Potassium Sorbate, Cinnamal, Pyridoxine Hcl. Excellent product, my skin is very sensitive and I don't have bad reactions when I use it. Highly recommended! 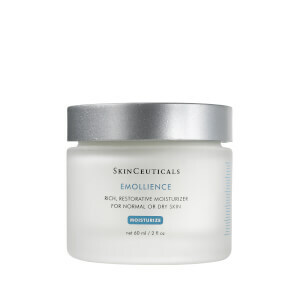 I was so sad when SkinCeuticals discontinued their Skin Firming Moisturizer. I came across this product and took a chance. I have an oily t-zone so I wanted something moisturizing but not something that will make me super greasy. I love it. A little goes a long way. I love that it is in a pot so I can get all the product and nothing goes to waste. It absorbs quickly, is lightweight, and even minimizes pores. I'm very happy. Well worth it! Definitely this is the best product that I have used, I have very sensitive skin and allergies but with this moisturizer I don't have problems. Highly recommended! This moisturizer is light enough for daily use and oily skin that needs moisture but not too much to weigh the skin down after the serum number three step. This is perfect for the am routine of cleanse, tone, serum, moisturize and apply sunscreen before makeup if it is a makeup day. On drier skin types, I would use a heavier moisturizer at night after serum. As for oily skin, combination or acne prone, I would use this product after a retin A application or the Blemish Defense salicylic by SkinCeuticals with ageing properties too. Use the moisturizer only where the dry spots are though because, ultimately, we are trying to balance the skin to become blemish free without losing the moisture dew that should become a regular aspect of the balance without the skin being too oily. Kinda pricey for my budget, maybe not others, but it is a great product. 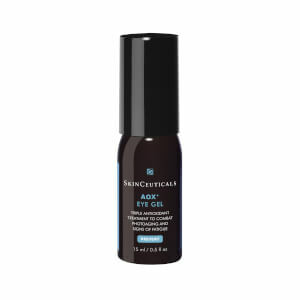 I use only Skinceuticals and when I have a facial there is no longer any "congestion"to be removed, which is a huge improvement in my skin. I'm on the 4th jar of this moisturizer and I can't go back to anything else. As i entered my 20's I started breaking out and my skin was always congested. I broke out with almost everything I used. I use about a pea size of this and my skin drinks it up right away. 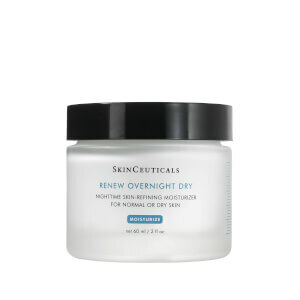 I use this at night after my blemish and age serum. If you break out, normal , combination, or oily skin you will love this. The only con I have about this moisturizer is that I wish it came with a spatula or in a pump bottle. This is a good daily moisturizer that is lightweight and has a nice whipped cream texture. It has no noticeable fragrance, and it absorbs instantly. Use something different if you have dry skin, this is best for normal to oily skin. I am in love with this moisturizer. It feels like it is whipped and just sinks into my skin. I have searched forever for a moisturizer that is light yet effective on my combination skin. I have been using it for 2 weeks and have seen such an improvement. My pores are smaller and my skin is brighter and healthier. You won't be disappointed!